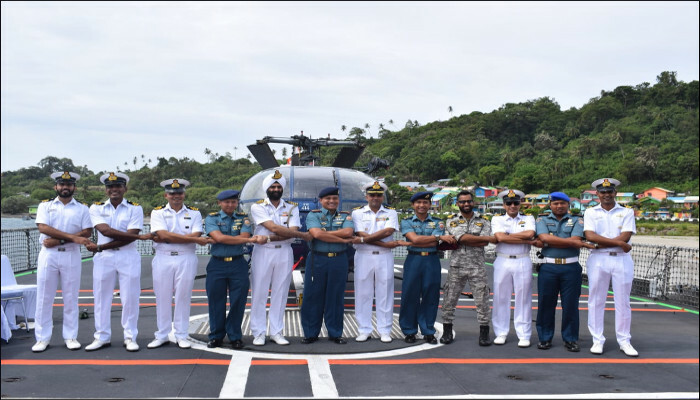 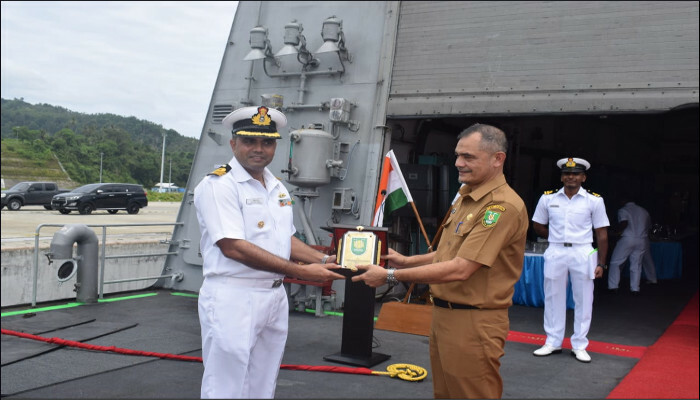 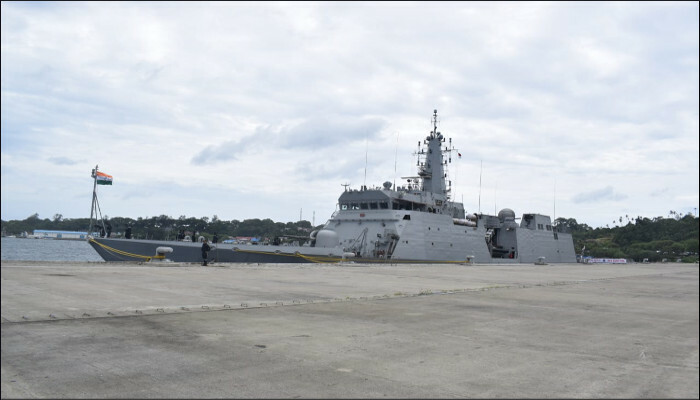 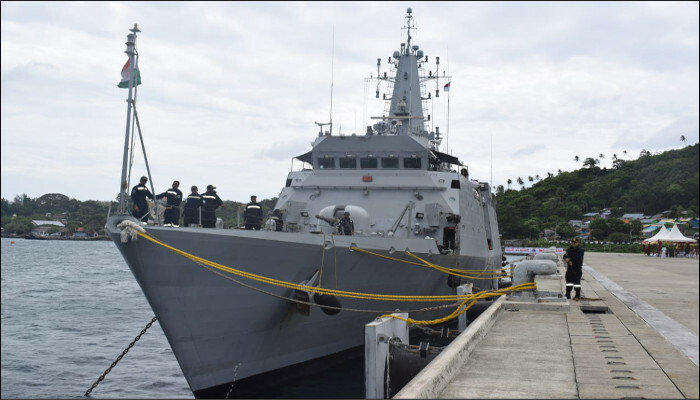 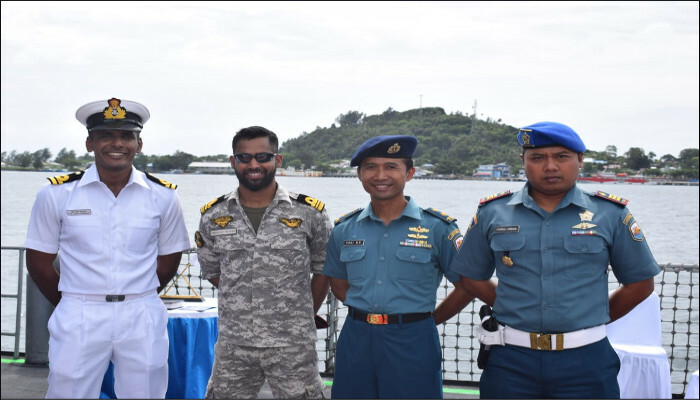 In pursuance of India’s Act East policy Indian Naval Ship Sumitra is on a visit to Sabang, Indonesia. 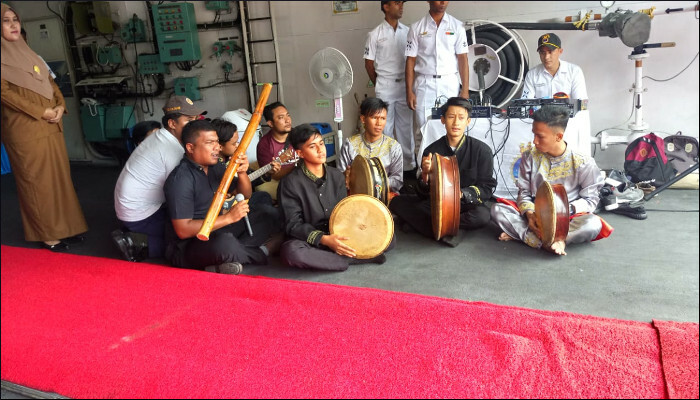 The ship was accorded a traditional welcome on arrival at Sabang. 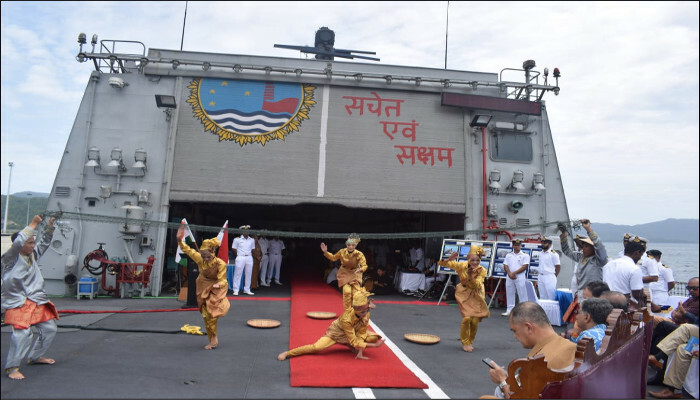 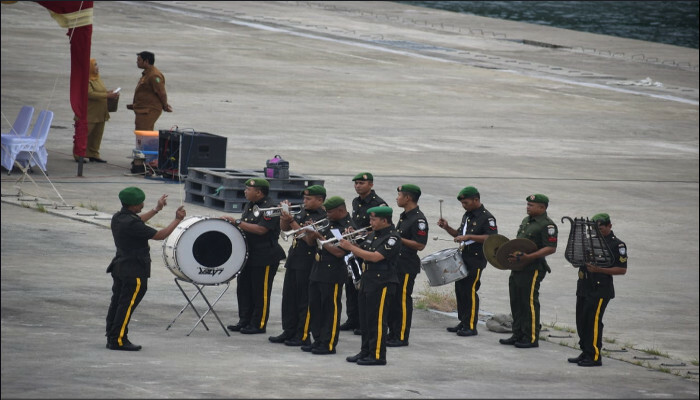 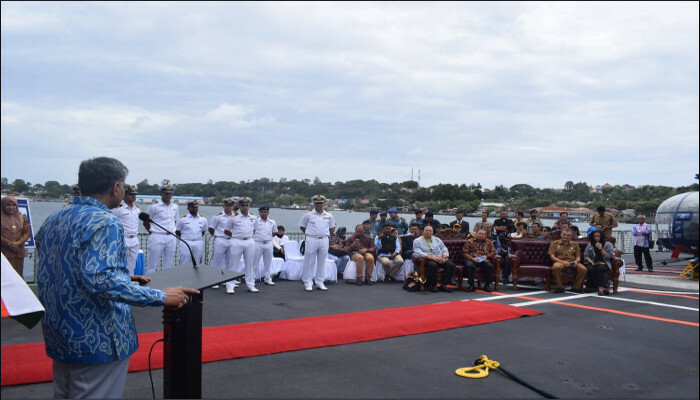 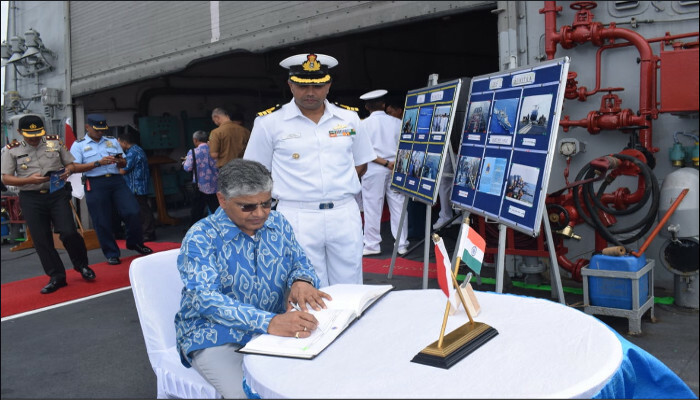 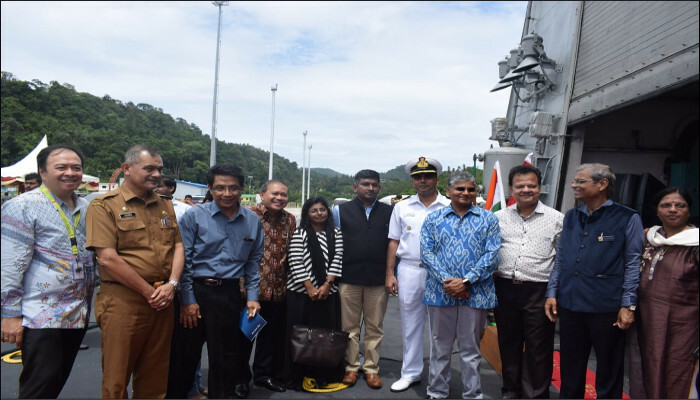 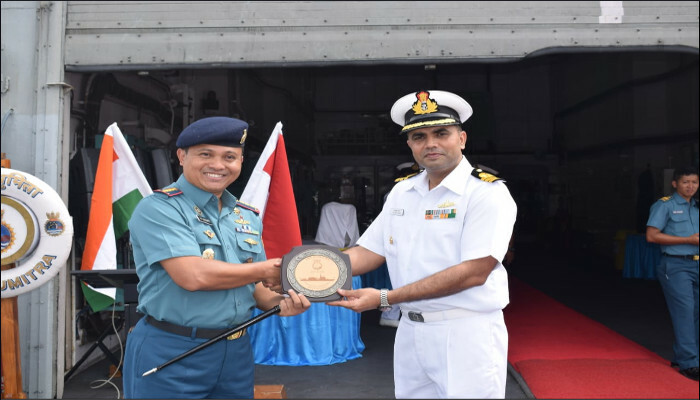 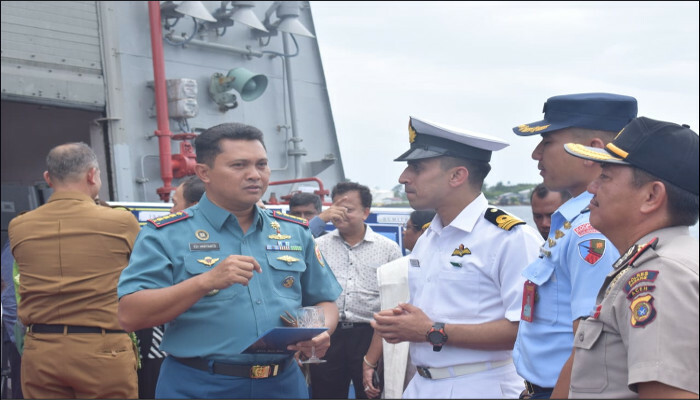 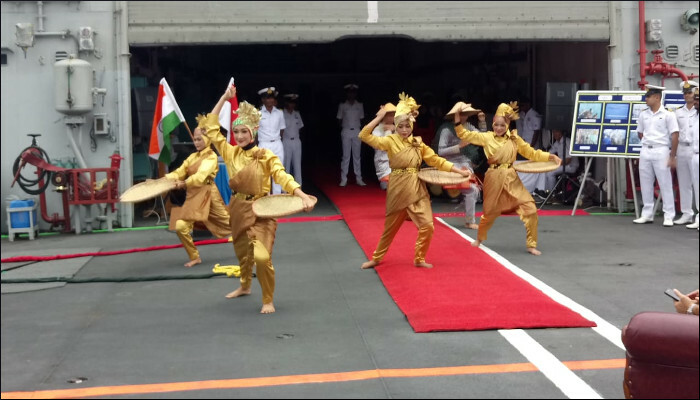 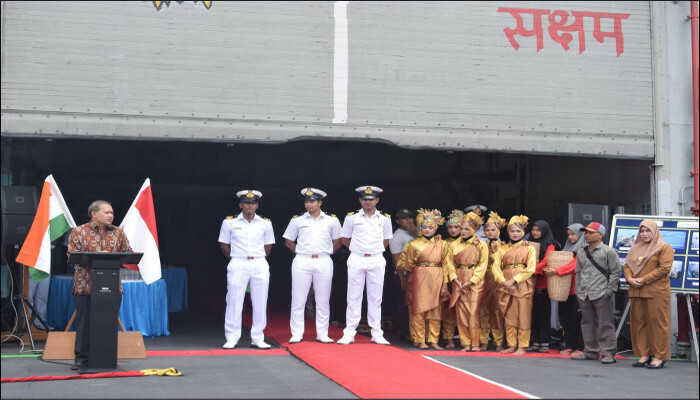 The Ambassador of India to Indonesia HE Mr Pradeep Kumar Rawat alongwith Indonesian Foreign Affairs officials, Indonesian Naval and Air Force officers and members of Indian embassy visited the ship. 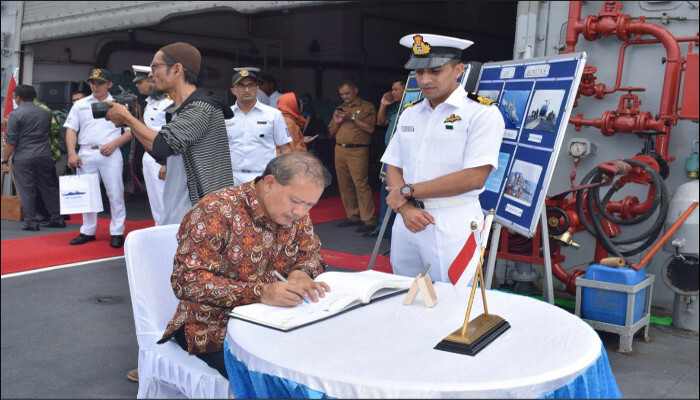 The Indonesian delegation included Ambassador Raudin Anwar, Ministry of Foreign Affairs and Ferdy Piay, Director for South and Central Affairs also from Ministry of Foreign Affairs of Indonesia. 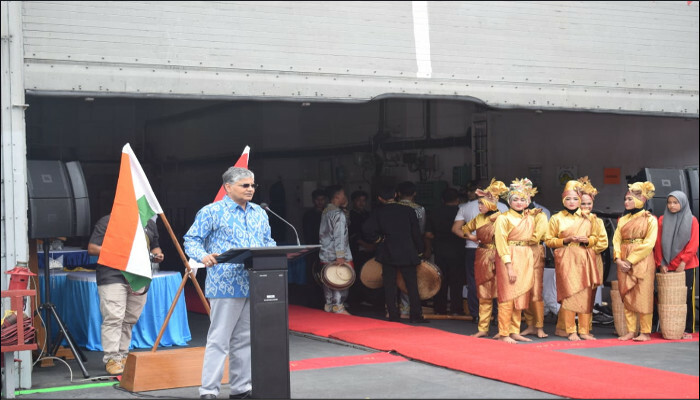 HE Mr Pradeep Kumar Rawat and Eko Hartono, Secretary to the Head of Policy Analysis and Development Agency.